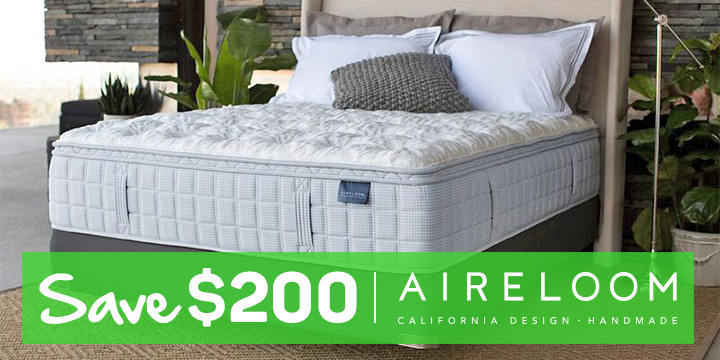 Aireloom mattresses are beloved for their forward-thinking designs and incredibly comfortable, luxurious materials. The motion isolation and back pain relief are rated better than average by consumers. The natural ventilation and temperature regulation ensure an undisturbed night’s sleep from start to finish. 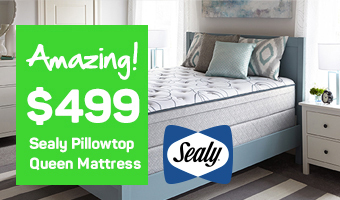 Mattress World Northwest carries a premium line of Aireloom mattresses that are exclusively found in the Portland Oregon area at our 13 local showrooms. 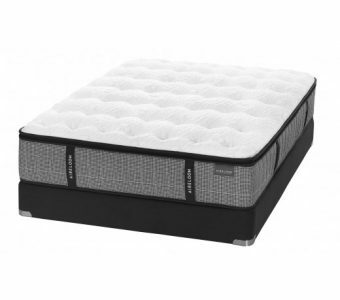 The manufacturer offers mid-to-luxury level innerspring, cotton, foam and latex mattresses. Many of their models, including the Aireloom Preferred series, are adjustable foundation friendly. The Aireloom brand has been around since the 1940s and offers an A+ Better Business Bureau rated service. The company stands behind their 25-year warranty. 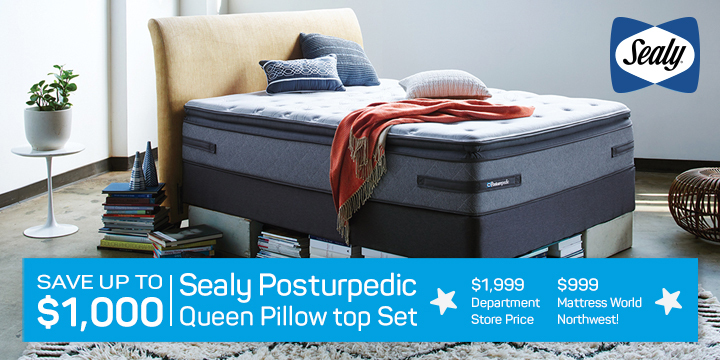 If you’d like to test out one of these mattresses in person, skip big box stores and come into one of our 13 Portland-area Mattress World Northwest showrooms for an educational, no-pressure journey to a better night’s sleep. Our Sleep Specialists would love to show you the Aireloom Platinum Preferred line and any comparable products we carry that fit your needs and budget. Next Generation Sleep Materials: TENCEL fabric is impressively smooth to the touch. Beneath the outermost layer of the Preferred mattresses is a Celsion Latex layer that offers superb pressure relief, while keeping the body cool. Pocket Coils: Like the Patented Aireloom Lift, the Preferred collection uses Pocket-Flex coils for easy side-to-back shifting and maximum performance over time. Not only are the coils individually wrapped, but there is also a high coil count on the Preferred mattresses for better contouring ability. Handmade California Design: Each bed is hand-tufted and sewn with a classy plaid print and expert detail work. Mattresses are a “labor of love” for Aireloom, and you can be sure no corners have been cut in the making of your bed. Blend of Foam Types: Aireloom Preferred mattresses use a combination of HighDensity firm foam, Super Soft foam, Celsion Talalay latex, and Visco elastic memory foam to deliver a heavenly level of support and comfort. 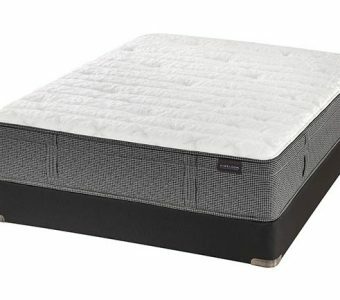 Choose from 12 our convenient Mattress World Northwest locations in the greater Portland, Oregon region for an exclusive premium Aireloom mattress line. If you’re looking for the next level of luxury, our huge selection of high-quality innerspring, foam and latex mattresses at every price point won’t disappoint. Take your time, ask as many questions as you can dream up, and plop down on our beds to find the right product. We won’t rest easy until you find the mattress that’s the best fit for your needs! The patented chamber between support and comfort layers synchronizes to your every move, while Plush AireLuxe™ foam pads your body. Features a natural chamber between coil and comfort layers, known as Aireloom® Lift™, and a moisture-wicking TENCEL® fabric top. Ultra Conforming Knit with Tencel eases stress and augments airflow, while Aireloom Lift lets you breathe easier through the night. The patented Aireloom® Lift™ chamber provides a natural space between the support and comfort layers, synchronizing with your every movement. Super soft plush quilt layer features silk, cashmere and moisture wicking TENCEL® fabric, while Aireloom® Lift™ chamber provides conformable support.